The history of corporate scandals over recent decades has motivated business schools to place greater emphasis on ethics education. By 1988, 73% of AACSB (Association to Advance Collegiate Schools of Business) undergraduate programs had a stand-alone ethics course. The AACSB no longer requires a stand-alone ethics course but will accept ethics across the business curriculum, despite the protestations of most Deans, CEO’s, and faculty of AACSB accredited schools. Regardless of whether business schools incorporate ethics throughout the curriculum or a single course, the overarching goal is to prevent unethical behaviour. Noble intentions, however, do not guarantee education will provide business students (or professionals) with the foundation needed to be more ethical. 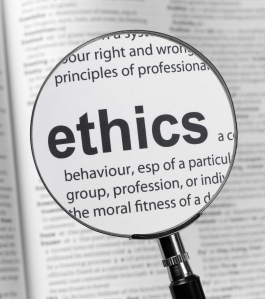 Although research into the effectiveness of business ethics education paints a mixed picture of results, meta-analytical studies in 1990 and 2009 both suggest its effectiveness is deeply suspect and questionable. In short, business ethics instruction has little impact on enhancing ethical behaviour, awareness, or perceptions amongst students and professionals. But we ought not conclude that business ethics education is a waste of time. Instead, we ought to determine, based on the studies that show a positive relation between ethics education and an increase in the ethicality of individuals, how and why it is effective. In their paper entitled “A Meta-Analytic Investigation of Business Ethics Instruction,” the authors conclude the most effective courses were short (no more than 30 days), mixed (student and professional), and seminar/workshop formats. More specifically, instruction that was case-based and provided students an opportunity to heavily engaged in the course material had the most ethical gains. In other words, ethics courses that favoured peer dialogue were the most successful. The least effective courses stressed force-feeding principle-based ethical theory to students as a way of improving their moral reasoning. Unfortunately, many business ethics courses are still taught based on this outdated one-directional (professor-to-student) pedagogical approach. There are good reasons why business ethics education has had limited success. First, if the goal of business ethics education is to improve ethical thinking and ex fortiori behaviour this should be reflected in the assessment criteria for students but it’s not. In his 2001 study, Donald Morris sent surveys to 2,830 college and university undergraduate business and philosophy department to determine the educational emphasis placed on business ethics courses. Results indicate that the primary goal of business ethics education is to teach students how to “express and explain their moral judgments and decisions”; not to improve ethical thinking. In other words, the main emphasis was ensuring students take into consideration opposing views, clarify terms, avoiding contradictions in reasoning/logic, and so forth. Of course some professors may assume that if students are more logical and rational they will be more ethical but no assumptions ought to be made. Second, the application of normative ethics to business problems still dominates much of course content. As such, students often have trouble applying Kant, Mill, Rawls, and other moral perspectives, because most theories are presented in such as way as to highlight their failings rather than their strengths. This pedagogical approach often leaves students confused as to which theory is right in regards to solving a particular moral dilemma. Traditional normative ethics, it could be said, fails to give students a concrete and practical foundation upon which to judge one course of action better than another. Third, most business ethics courses are too abstract and often have no real import to business students or business professionals when faced with difficult day-to-day decisions. Most businesspersons do not engage in the kind abstract reasoning found in business ethics classes due to organizational pressures and need for practicality. The vicissitudes of capitalism or whether corporations are moral agents, for example, are issues usually never address by businesspersons on the job. In fact, many of the cases studied in class are aimed at senior managerial decision makers and, therefore, most students will never confront such moral dilemmas in their careers. Unfortunately, this means the majority of business ethics curriculum will be irrelevant and probably have little effect on student or professional ethical reasoning. However, we ought not despair. There is a burgeoning body of evidence, based on the work of the Russian psychologist Lev Vygotsky, that peer discussion (student-to-student), rather than teacher-to-student interaction, has the greatest influence on moral reasoning change. Moral learning, it is said, primarily occurs in unstructured social environments, rather than “one off” formal courses or programs. In this sense, moral learning occurs in social settings through a dialogic process. If correct, discussion of ethical issues around the “water cooler” at work or at school may be more effective than traditional educational efforts. Interestingly, improving moral reasoning need not take place only in traditional ethics or business ethics educational programs. For example, Mayhew and Engberg found improvements in moral reasoning within introductory sociology courses using inter-group dialogue despite no apparent reference or discussion of explicit ethical issues or ethical theory. So long as peer dialogue creates high levels of tension and negative affect for students, it seems to spur students to challenge their own assumptions and beliefs, thereby enhancing their moral thinking skills. Research within the organizational context also shows group discussion, generally speaking, improves individual moral reasoning. Peer discussion and influence with coworkers was especially pronounced on new employees. According to Keith, Pettijohn, and Burrett, coworkers had a significant impact on new advertising employees’ ethical behaviour towards customers, competitors, and the firm. Likewise, peer influence had a positive effect on early career accountants in regard to their evaluations of unethical actions. But peer learning and moral dialogue may not itself be enough. Organization culture, especially codes of ethics, also appears to play an important foundational role in preventing unethical behaviour. Although what makes up an ethical organization culture is multifaceted and difficult to define, ethical role modeling, the capability to engage in immoral behaviour, and open discourse about ethical issues are some of the cultural dimensions that seem to influence behaviour. What this suggests is that more attention needs to be paid to organizational processes that influence unethical behaviour. If I am right about peer dialogue being important for changing moral reasoning and behaviour, then discussion around a “water-cooler” may be of greater important than trying to enhance the moral reasoning of business people through traditional business ethics courses. Dr. David Ohreen is an Assistant Professor in General Education at Mount Royal University in Calgary, Canada. His research interests included business ethics education, corporate social responsibility, and corporate philanthropy.